You can plan every element of your big day down to a tee, but there will always be one aspect that remains stubbornly uncontrollable : the weather. The last thing you want is to have all your months of hard planning scuppered by something that’s totally out of your hands. 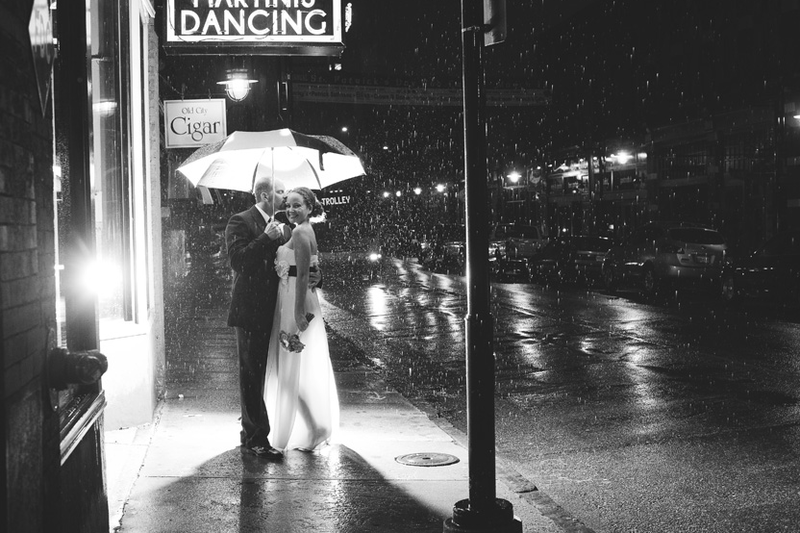 With this in mind, it’s always best to have some contingency plans for a wet-weather wedding. Just because it’s raining doesn’t mean you have to stop being stylish. One way to achieve this is via a wedding umbrella that has more designer qualities than that corporate one you usually make do with. In fact, there are so many beautiful images of couples huddled under umbrellas out there, that after you’ve read this you might find yourself hoping for a little marital shower. 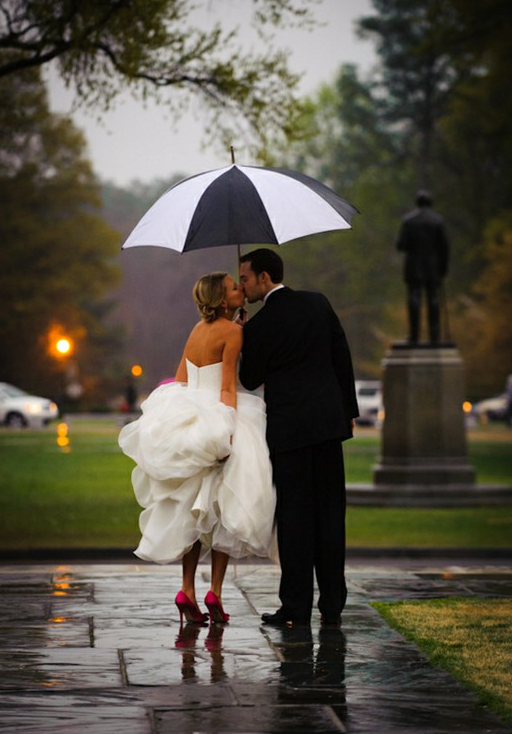 Grey skies, pink shoes, hitched up dress and a romantic moment makes this feel like a scene from a movie. Ditto this photo here. The kiss in the rain under the neon lights of the bar almost allows you to hear the imagined refrain of a saxophone calling the blues nearby. 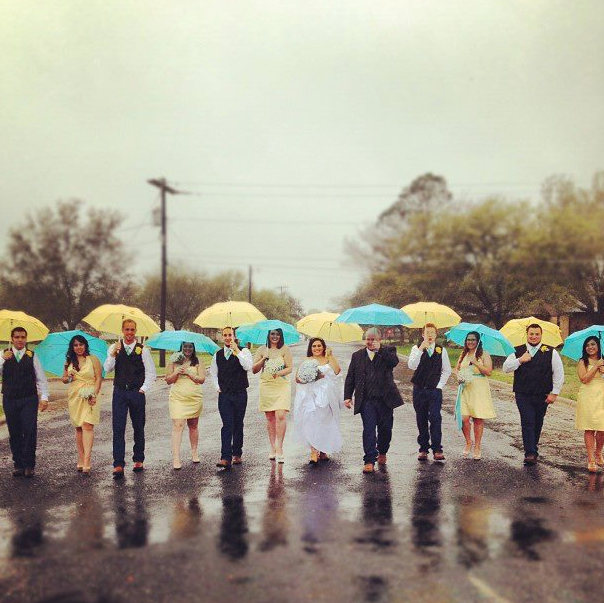 This group, with their coordinated yellow and blue umbrellas look like they’ve specifically planned for rain. This bride and bridesmaids, featured on the wonderful Love My Dress Blog, have also thought about their umbrella choice before the day. White for the bride, pink for the bridesmaids. Very cute, and a great photo. 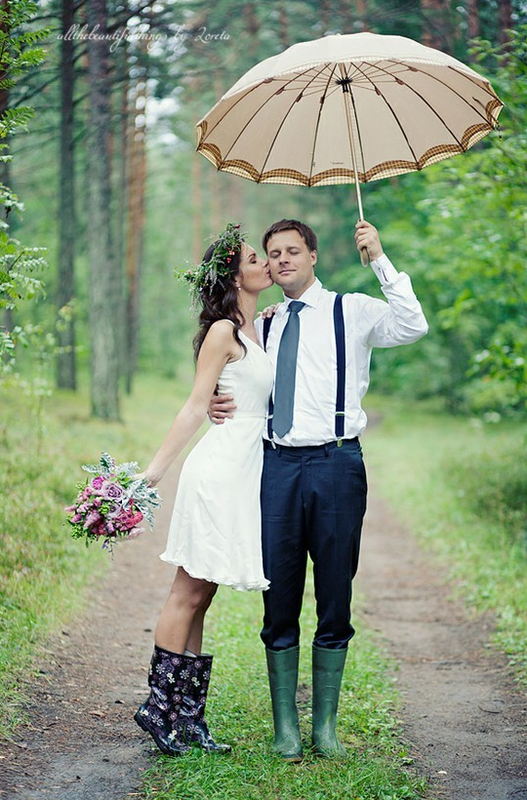 If you’re considering wet weather wedding style, as well as an umbrella you may want to add wellies into the equation. Look how blissfully happy this bride & groom are. Who cares about rain? 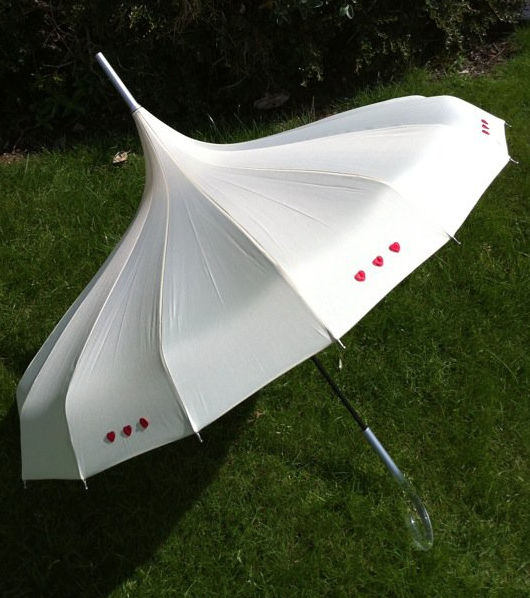 And finally, if you’re searching for a supplier, be sure to visit the site of Love Umbrellas who create unusual bespoke designs in an array of colours. Perfect for your big day. 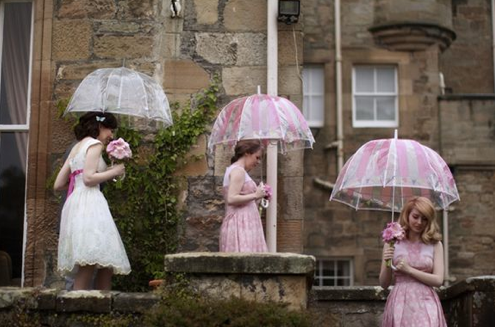 Do you have plans in place in case of rain on your big day? Or are you just going to pray for sunshine?